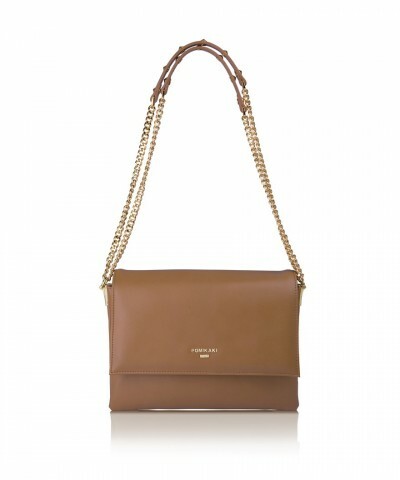 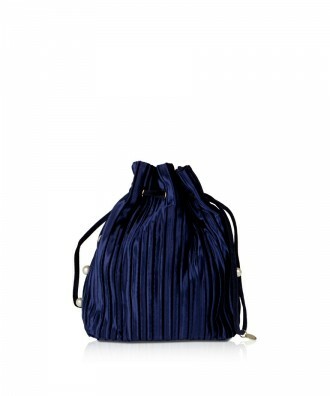 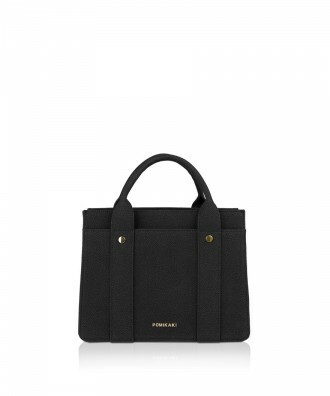 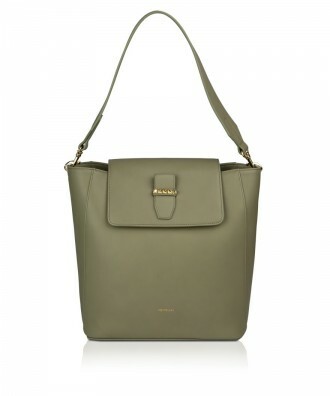 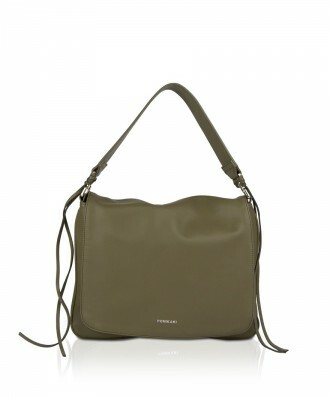 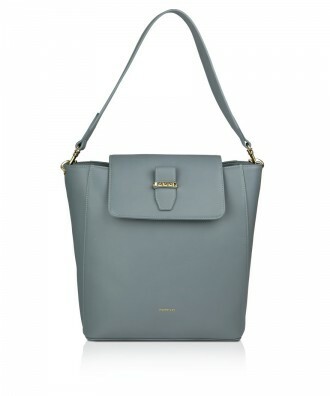 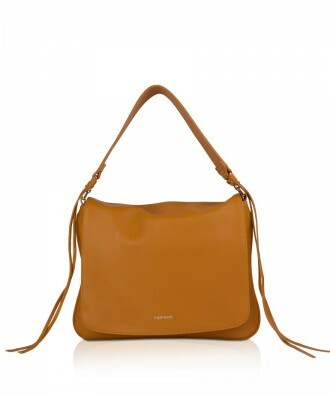 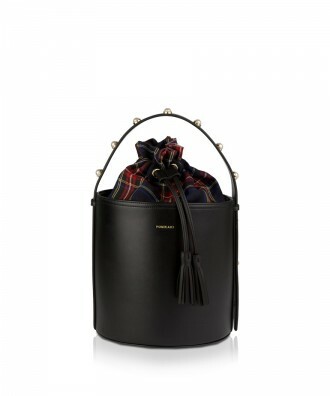 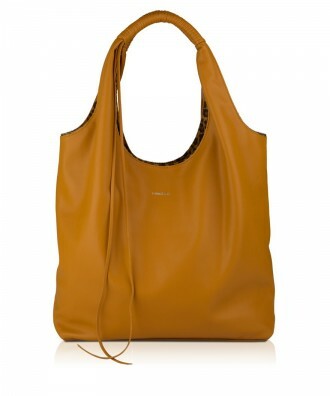 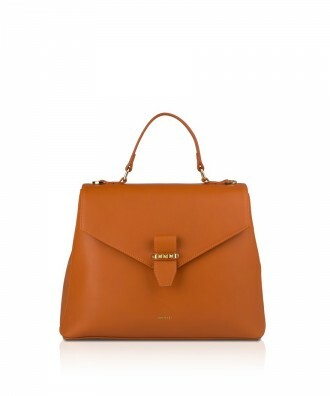 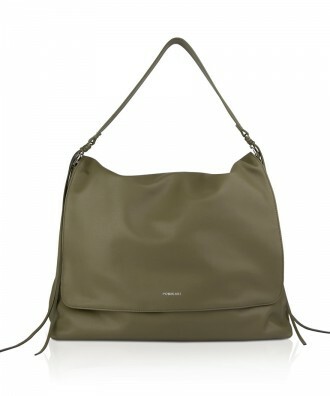 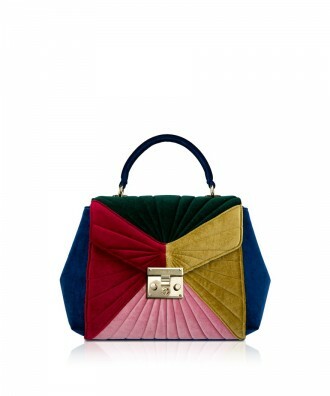 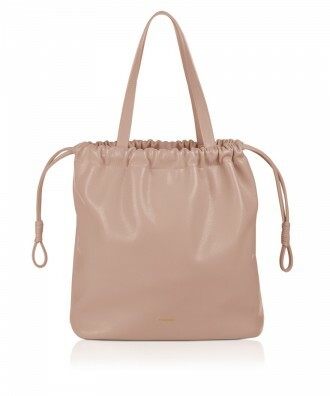 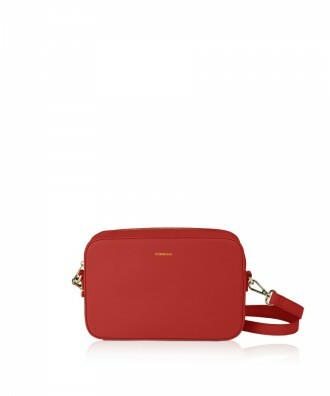 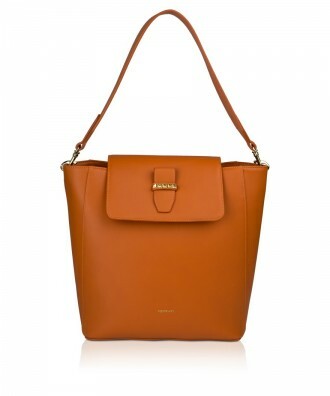 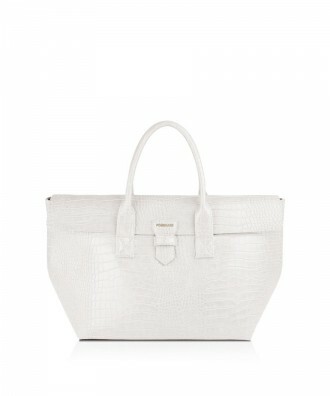 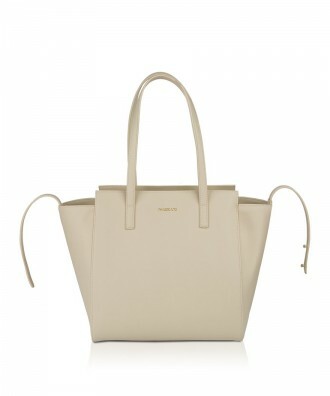 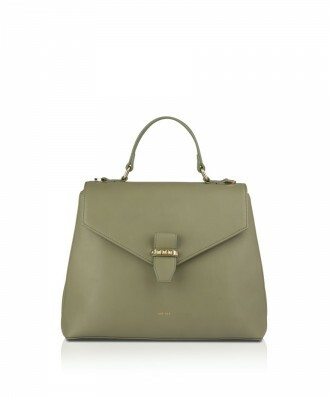 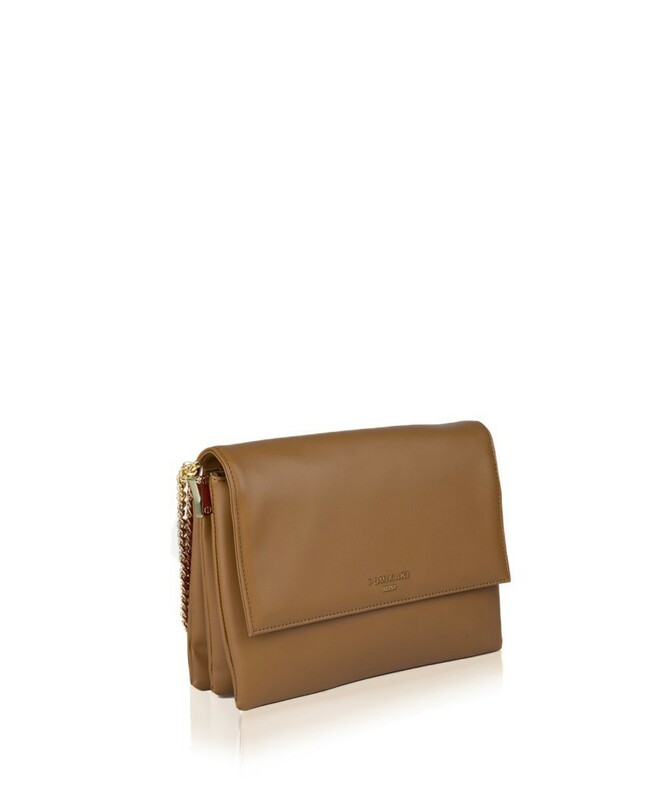 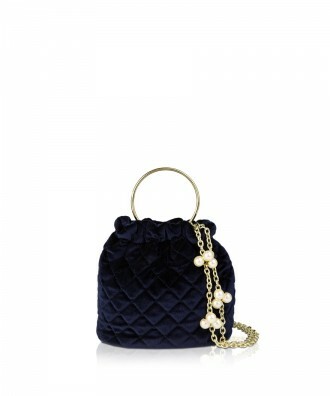 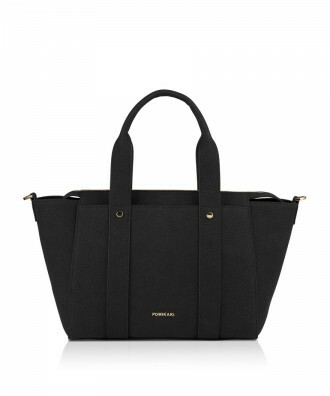 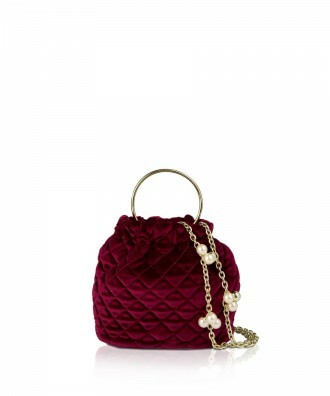 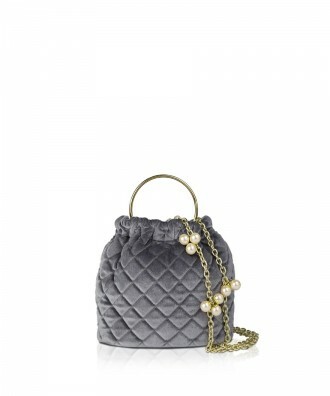 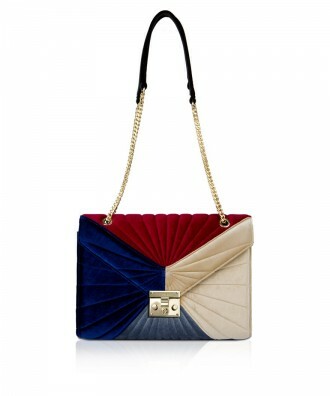 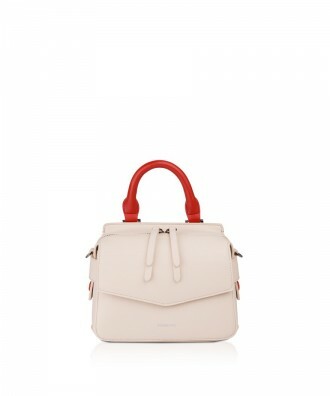 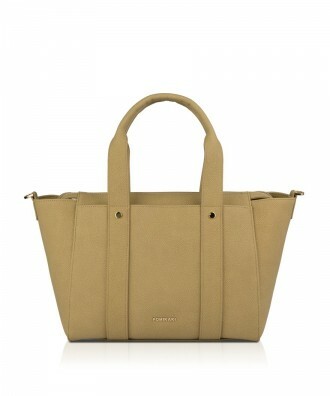 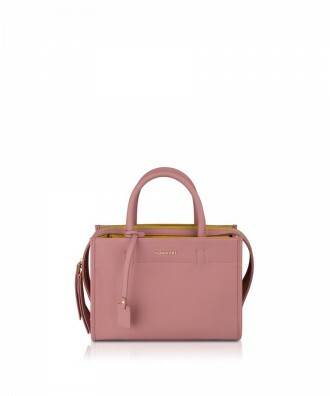 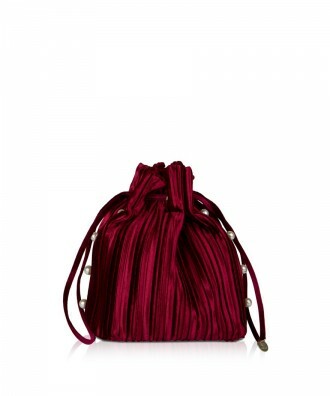 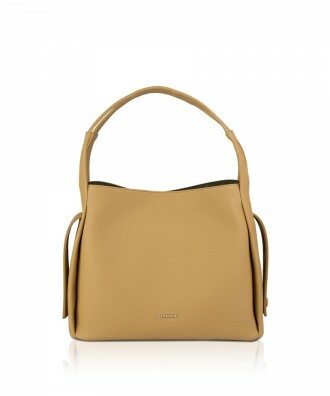 KATE – Soft synthetic leather shoulder bag. Main closure with magnetic button. 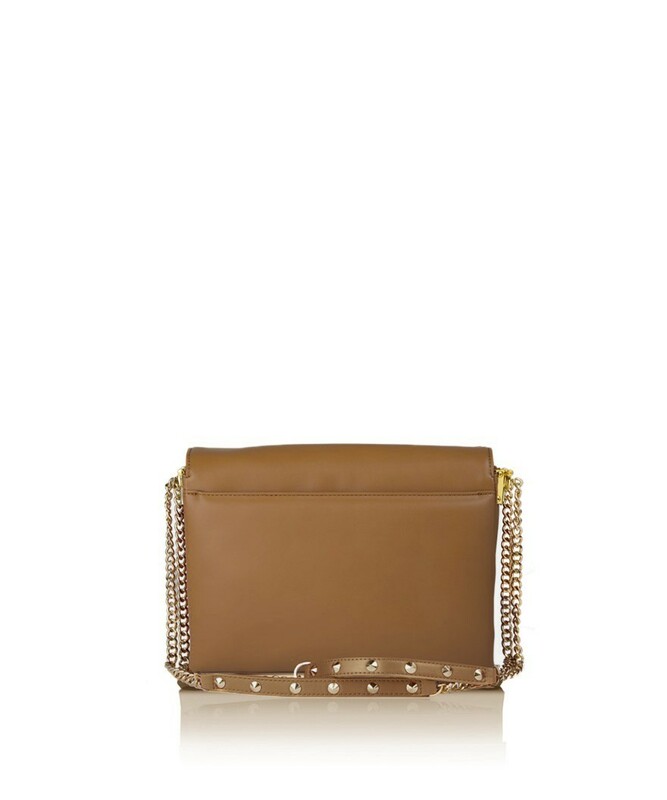 Chain shoulder belt with synthetic leather insert decorated with studs. 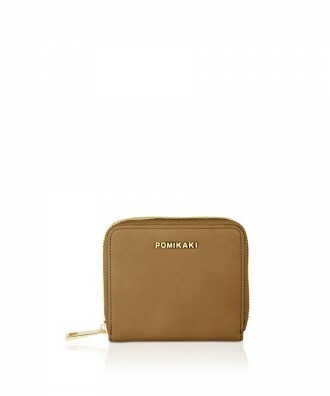 Applied golden Pomikaki logo plate on the front. 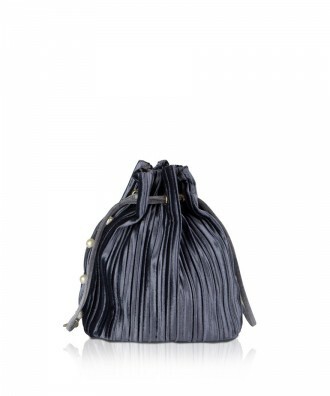 Outer pocket on the back with magnetic button closure. Inside cotton lining and organization with 2 sector, 2 pocket, one of which zipped and key-chain. 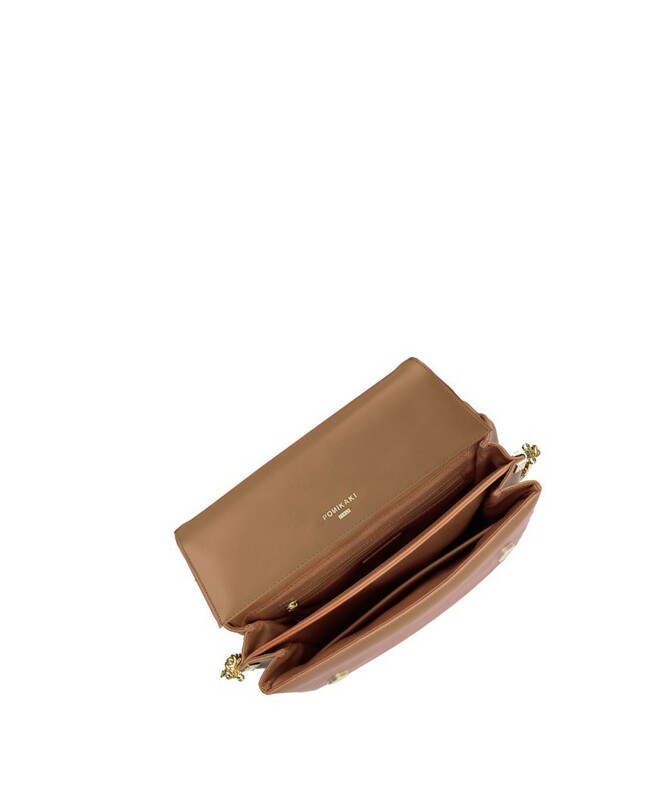 White pouch for storage.